What better way to recover from a night on the town in Liverpool (your correspondent strongly recommends the locally distilled gin at The Belvedere) than a soothing facial? Especially when that facial comes with the cultural endorsement of the Liverpool Biennial. No matter that my treatment—on Friday 13th—took place in front of the assembled ranks of the arts press, such was the skill of Helen, the beautician selected by the artist Taus Makhacheva for her ASMR Spa, that all shutter clicks and background rumbles were subsumed into a blissed-out haze. Even the biggest rumble of the day, the arrival in the UK of Donald Trump, was smoothed into silence. 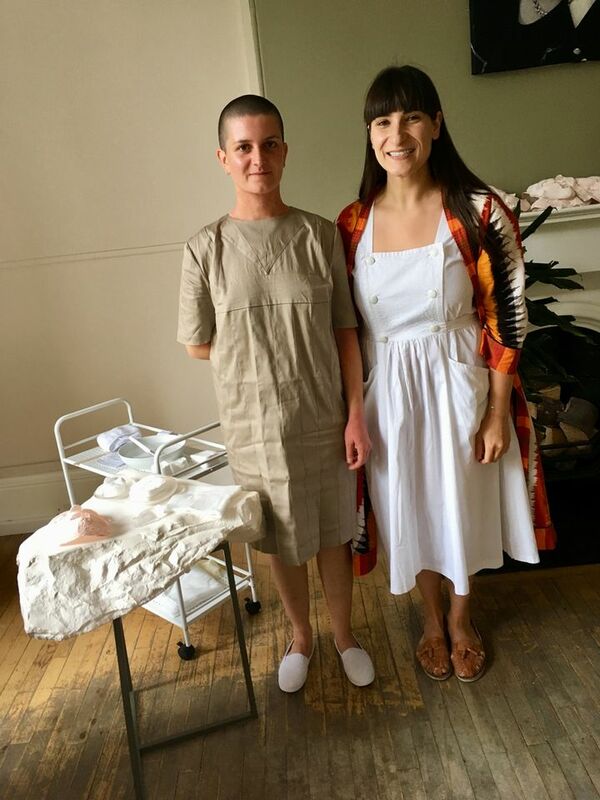 What I was experiencing at this very special spa in Blackburne House, an educational centre for women in the city’s Georgian quarter, was a Sculptural Signature Facial. “It’s called sculptural because it makes you more defined, fills the cracks,” Helen whispered conspiratorially as she commenced proceedings by massaging my weary and decidedly cracked old visage with Mixed Clay Cleanser, the first in a series of six treatments based on the component parts of artworks “because this is all about making you into a work”. Makhacheva gave The Art Newspaper a more detailed explanation of the ideas behind the ASMR Spa in our interview last month. 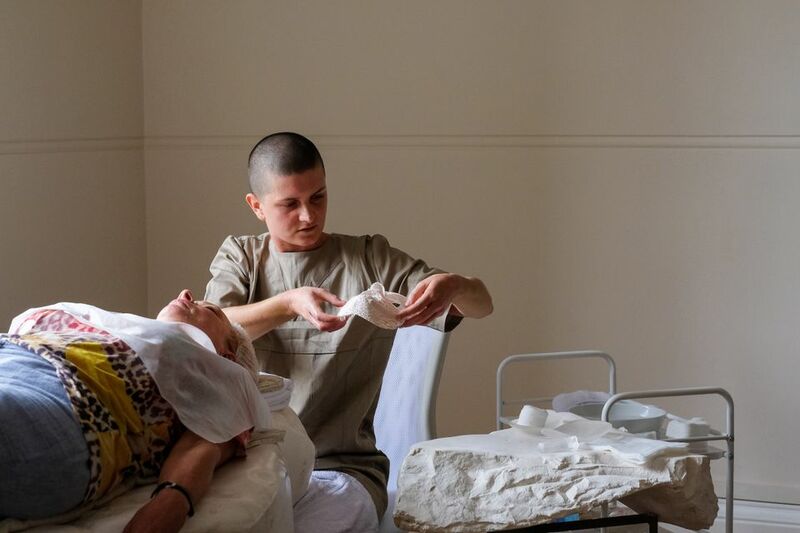 But the basic premise is that the recipient of each treatment both physically absorbs elements of destroyed artworks and, due to the ministrations of the performer-beautician, is also made to feel like a sculptural subject being gently restored to a more complete state. Those not able to book a treatment directly can try the experience courtesy of screens and earphones that administer ASMR (autonomous sensory meridian response) techniques. After half an hour of Helen’s murmured account of lost and destroyed artworks and commentary on the delicious Moscow-produced unguents being applied (via a script by David McDermott), I felt sufficiently revived to sally forth and immerse myself in the rest of the biennial. Given that this year’s exceptionally strong showing—under the title of Beautiful World, Where are You?—grapples with the social, political and economic turmoil of today’s world, and opened against the backdrop of Trump’s visit, I was grateful, for a short time at least, to be restored from my hitherto fragile state.